This challah bread explainer includes: all you’ve ever wanted to know about the traditional Jewish bread, the best bakeries to find it in London, and... marriage advice? Keto sufferers, look away now: we're about to get carby. As we're sure all you sourdough aficionados are aware, Real Bread Week is running from 23 February-3 March this year. It's an annual international celebration of "real bread", and the people who make it, which aims to encourage bread lovers to buy their loaves from local and independent bakeries and bake their own additive-free bread at home. In honour of this momentous week we've compiled this guide to one of London's most underrated loaves: challah bread. 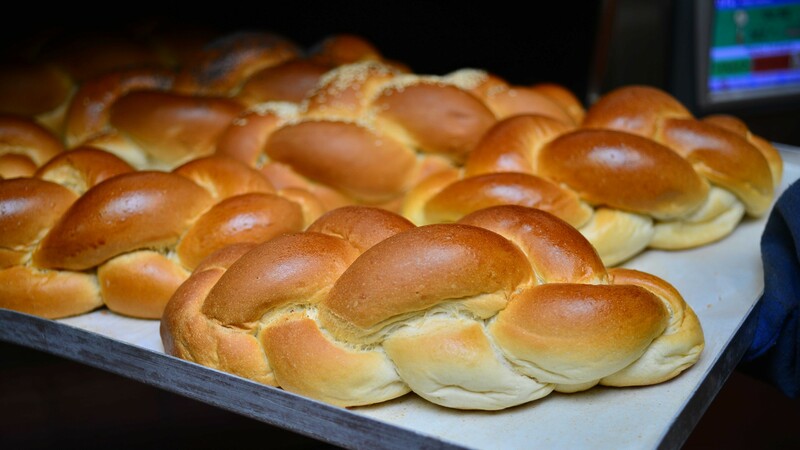 Challah bread (pronounced "hallah") is an extremely important food to the Jewish community. Not only is it a taste sensation – blessed with a buddy-buddy ratio of crust to crumb – but the wonderfully bronzed loaf also holds a weighty historic and religious symbolism. 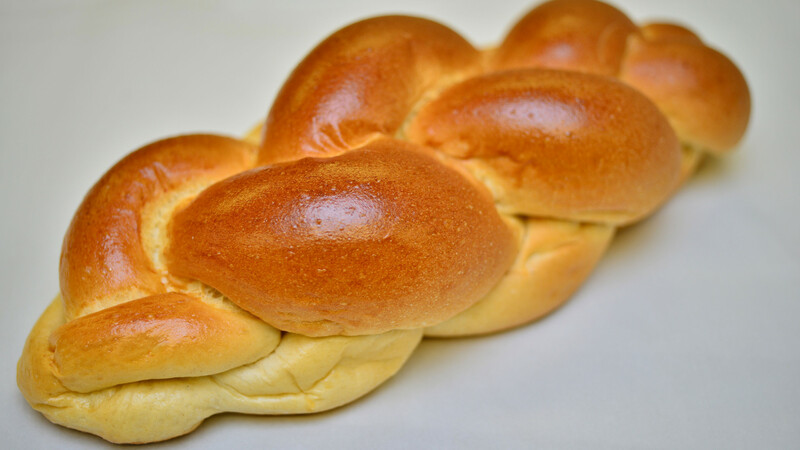 Challah signifies tradition and culture in Judaism – and, as such, eating challah bread on Shabbat (the Sabbath) and special festivals is seen as a Mitzvah (a good deed or commandment). For many Jewish people, challah bread is symbolic of Shabbat and the day of rest – a delicious physical embodiment of cherished time spent with family and friends. "Growing up my family would celebrate Shabbat every week and have freshly baked challah from our local bakery," explains Lisa Shames, chief learning officer at The Jewish Museum London. "Now that I live away from my family, when I smell freshly baked challah it always reminds me of Friday nights at home all together." Most traditional homemade challah recipes, like those made by the Shames family, involve the use of eggs, flour, water, sugar, yeast, and salt. It's a simple enough dough in of itself; however, the intricate preparation and braiding of the bread is what gives challah its distinct tortoise-shell texture. Back in the days of the Temple in Jerusalem, Jewish people would traditionally separate 1/24th of the dough and give it as an offering to the high priests. This sacrificial piece of dough is also referred to as challah. The practice still lives on today via the requisite separation of a small portion of challah dough that must be burned either before or after the rest of the bread is baked. This is done regardless of whether the bread is being made at home or in one of London's many kosher bakeries. Ceremony is integral to challah and there are many special types of challahs suitable for different occasions. On Rosh Hashanah (the Jewish New Year), it's customary to eat a round challah – echoing the cyclical nature of a year and eternal life – that is sometimes given an additional smattering of raisins to symbolise the beginning of a sweet and prosperous new year. Some Jewish people even dip their challah in honey instead of salt during the entire first year of marriage as a segula (a good luck charm) to bring an added sweetness to their relationship. Whether opting for a literal honeymoon or not, everyone has their personal preferences when it comes to this popular bread. Eliana Mendelsohn is a museum assistant at The Jewish Museum London who is passionate about her slices of the stuff. "Challah bread is absolutely amazing toasted," Mendelsohn tells Foodism, "I love it with butter and cheddar cheese." Others, such as Lisa Shames, have a sweeter tooth: "Challah French toast is my favourite thing to make with leftover challah," says Shames. No matter how you like to eat yours, we want to make sure that, at the very least, you're getting hold of great challah made with genuine chutzpah. Here, then, are some of the best bakeries in London to get your hands on the traditional Jewish bread. Just don't expect us to be so generous if there's only one challah left in-store. Because if you let us loose on a loaf, you best believe that there ain't gonna be no challah back, girl. This lovely little bakery in Hampstead Heath has committed to producing quality loaves that taste great, look glossy and incorporate only the freshest ingredients. Karma Bread's challah – which is freshly baked on-site every day – doesn't include any artificial improvers, chemicals or additives. In fact, none of its products do. 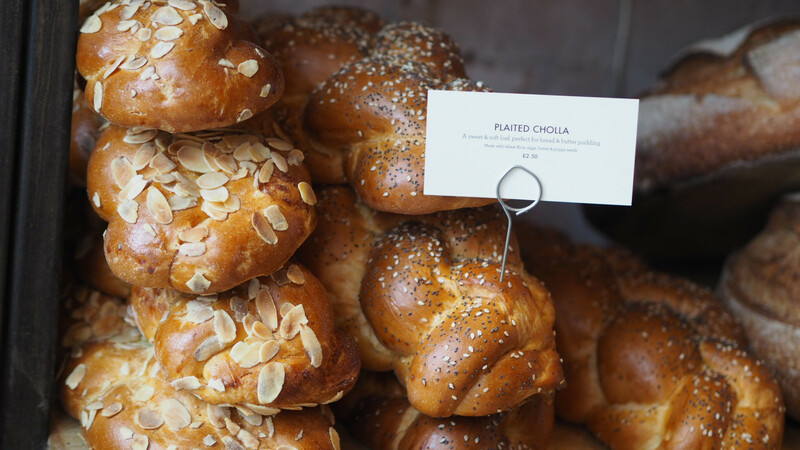 The challah bread at Karma Bread is Friday's daily special and available for as little as £4. Owner Tami Isaacs even runs her very own 'Challah Queen Masterclass' to help pass on the craft and her knowledge to anyone willing to get their hands stuck into some serious dough. Don't worry if you do happen to miss out one of Isaacs' airy loaves, as bespoke bakes for a range of celebrations (be that a birthday, bat mitzvah, or divorce) can still be ordered and made to your exact specifications. The Happening Bagel Bakery was opened in 1994 by baker and proprietor Isaac Cohen. Cohen – who now acts as the bakery's director – has mastered the bagel and bread trade thanks to stints at various bakeries scattered across North London. The result is that The Happening Bagel Bakery is home to some of the best bagels and challah bread you'll find in the area. They've even got those rainbow ones that all the American tourists go gaga for on the internet. The popular bakery is open till 2am every day apart from Sundays, when it shuts at midnight. Now, that's a real commitment to making sure you get your daily bread. 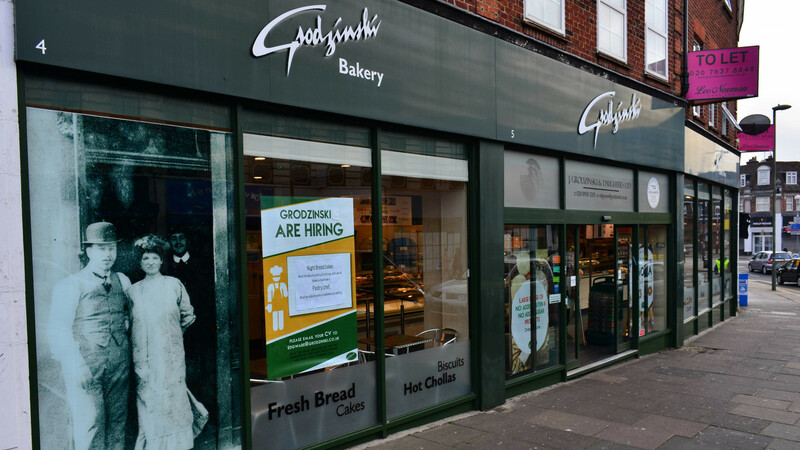 Carmelli's is a family business serving high quality kosher bread, cakes and party foods to the people of Golders Green. One of the reasons that you can always rely on Carmelli's for a quality challah is because they've been producing top Jewish cuisine for the better part of 30 years now. Not only do they do the absolute business on bagels and bread, but a range of Carmelli's tarts and roulades are cooked to equal perfection. Carmelli's opened its doors in 1987, which also makes the bakery the same as age as RoboCop. Now, we don't know about you, but we're pretty confident in saying that Carmelli's pastries are a hell of a lot more timeless. Award-winning (and handmade) breads of all shapes, sizes and starters are what you can find at GAIL's bakeries – alongside some damned good challah, of course. 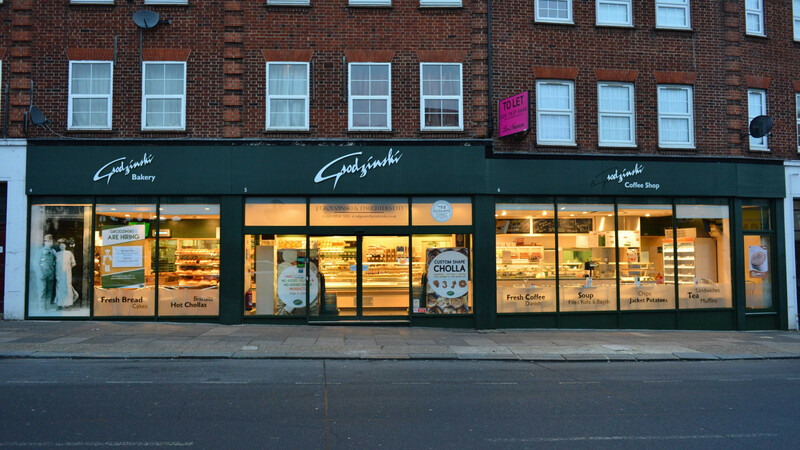 The first GAIL's opened in London on Hampstead High Street back in 2005, and Ran Avidan, the original co-owner of the artisan bakery, hails from Tel Aviv and has worked to ensure that Jewish produce has remained on the menu since its inception. If you're looking for an eggy, unctuous challah, there are a lot worse options out there. In fact, you could well argue that there aren't many better. 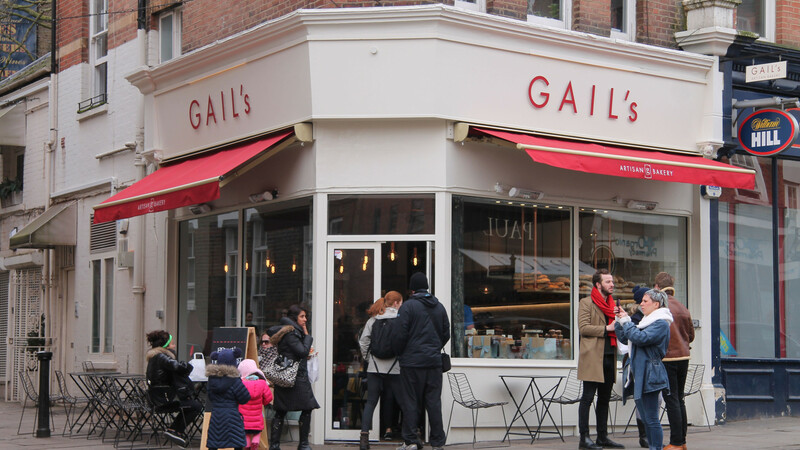 A spate (49, to be exact) of GAIL's are spread in and around the city to cater to your challah desires. GAIL's traditional plaited challah costs £3 and is available on Fridays and Saturdays in all of their bakeries. However, it's important to note that GAIL's' challah runs out fast. So, make sure to give your local branch a ring beforehand if you do plan on getting plaited up. After all, there's nothing worse than coming home challah-less. Rinkoff Bakery was established in 1911 by Hyman Rinkoff, who emigrated to London from Kiev with a passion for baking and a determination to establish himself as a master baker. It's fairly safe to say that he's done just that: Rinkoff Bakery is a staple part of East End eating habits and, while it's probably better known nowadays for its Instagram feed-friendly crodoughs, the Miami-tanned challah bread should be demanding just as much of your attention. The raisin challah – packed full of juicy raisins and sultanas and sprinkled with sesame seeds – is capable of converting even the most ardent dried fruit disparager. The original challah? Well, all you really need to know is that it's still made using the bakery's 100-year-old traditional Jewish recipe. It's a classic. If you've yet to get your hands and mouth around a salt beef bagel from Beigel Bake, you've let to live, my friend. Open seven days a week, 24 hours a day, this Brick Lane institution is renowned for its mustard-drenched sandwiches. The ability to get your lox fix at a simply ungodly hour of the night is a major draw. The potential to also pick up a big ol' loaf of challah while you're at it? That's why Beigel Bake is one of a kind. Catch the bread just as its been pulled fresh from the oven and you'll thank your lucky stars that you didn't opt for "the yellow one". In 1888, bakers Harris and Judith Grodzinski emigrated from Lithuania to set up shop and establish themselves in the east end of London. The rest, as they say, is history. What started off as a simple trading barrow has grown into a healthy plethora of family-owned bakeries stationed all over London. The ethos of producing delectable kosher breads, cakes and baked goods has, despite the bakery's growth, remained the same. A visit to the Grodzinskis' simply isn't complete unless you leave with a hefty challah under your arm. Elaborate celebration challahs shaped like grapes, menorahs, engagement rings are also available on request. You can even get a challah shaped into personalised letters and numbers if you want something super individual. Or, y'know, if you just want to spell out something rude in bread. 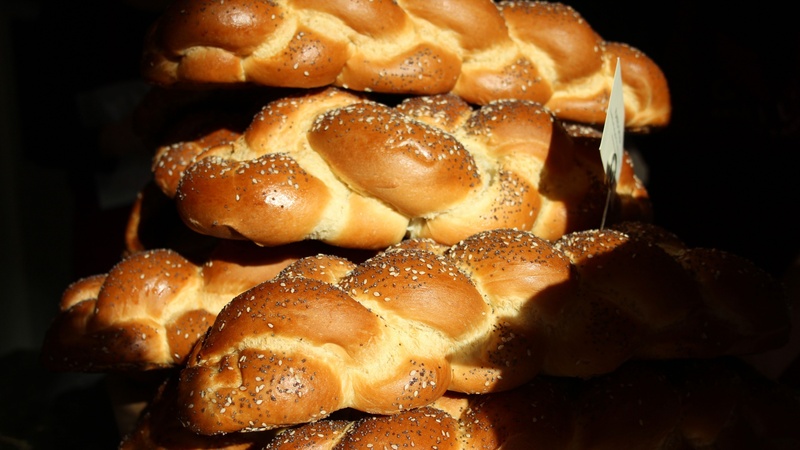 To find out more about challah bread, and Judaism in general, check out The Jewish Museum London's website and keep an eye out for the institution's ongoing range of informative events.